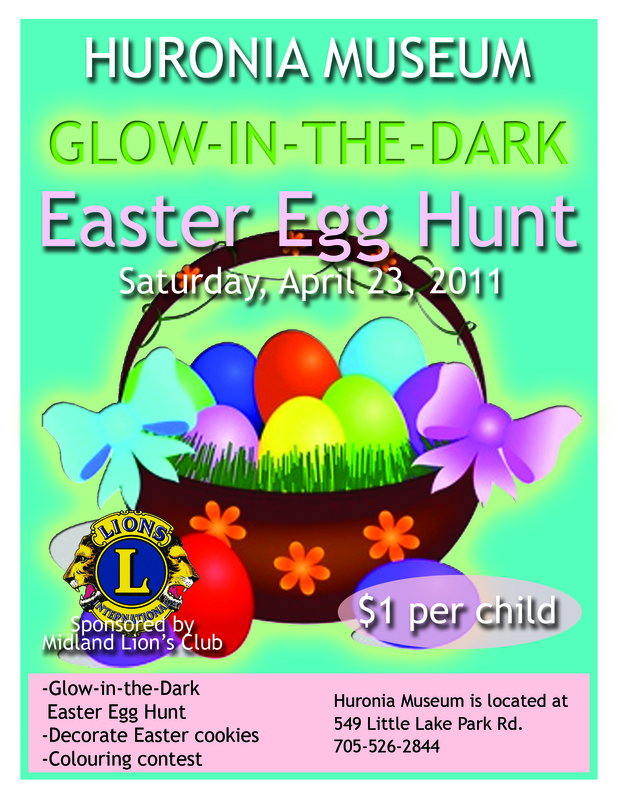 Huronia Museum is getting in the Easter spirit! Join us on Saturday, April 23rd for cookie decorating and a glow in the dark Easter egg hunt. Bring the kids and enjoy a unique twist on a traditional egg hunt, exploring the museum in the dark and collecting your eggs to win a prize. Plus kids can have fun decorating their very own Easter cookie and take part in our colouring contest to win a free week of camp. Our Easter egg hunt will run from 1 PM to 3 PM on SaturdayApril 23rd. The cost is $1 per child and a non-perishable food item for the Salvation Army Food Bank. This event is made possible by the generous sponsorship of the Midland Lions Club.